We all have our own ways of dealing with stress. Some people bake, others exercise (their right hand), but I’m running out of ideas so this imaginative teacher’s list of 101 ways to cope with stress is going up on the wall! 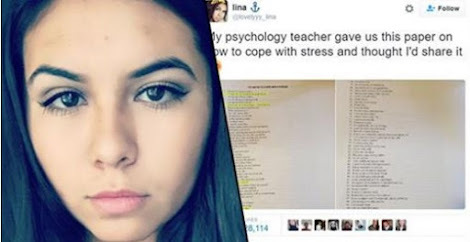 Student Alina Ramirez posted a photo of the list to Twitter and highlighted her favourite ones after her psychology teacher handed them out in class. The understanding Mr Phillips catered for all types of stress, from the everyday trivial worries to a more extreme existential crisis. Since Alina shared the list, it has been retweeted over 22,000 times. The list is a mix of specific and ideological tips, ranging from ‘Feed the birds’ to a deeper ‘Strive for excellence not perfection’. Prepare for the morning the night before. Don’t rely on your memory…write it down. That last one would probably make me feel worse and hammer home any loneliness to be honest. I think my personal favourites are ‘Tickle a baby’ or ‘Practice a monster smile’. 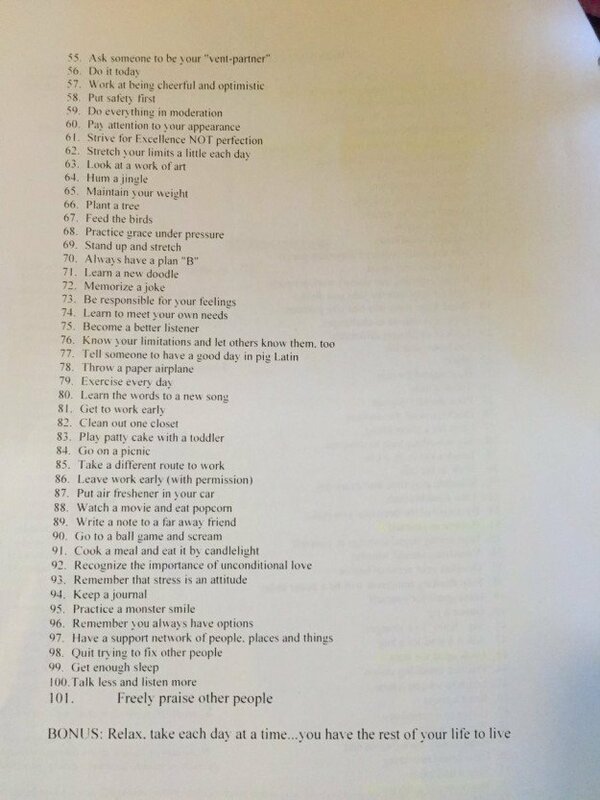 This is the 10th year Phillips has given his Californian students the now-famous list that he has compiled over the years. 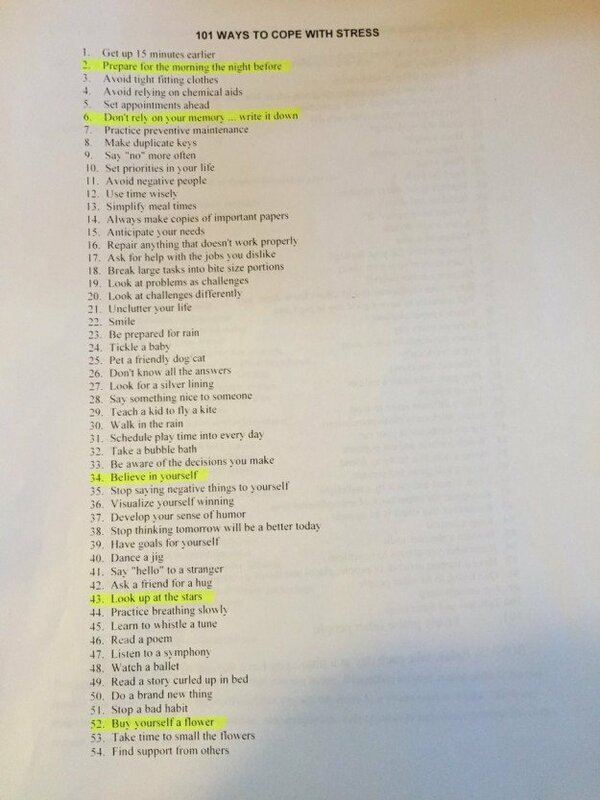 I give students the list and then I have them pick five things that they need to start doing to lower their stress levels. So now you have no excuse to be stressed. You’re welcome.